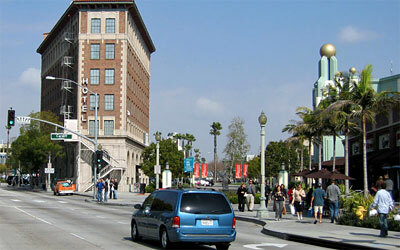 Los Angeles is perenially ranked the most congested city in the United States. The Santa Monica Freeway (I-10), is one of the busiest in the world, carrying over 400,000 people per day. Traffic is in both directions  Eastside and Mid-city residents go to Westside jobs and recreation as much as Westside residents go Downtown. 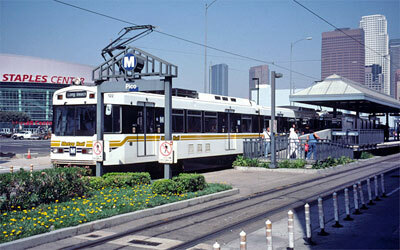 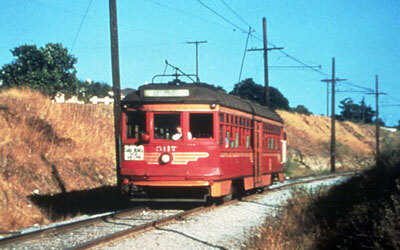 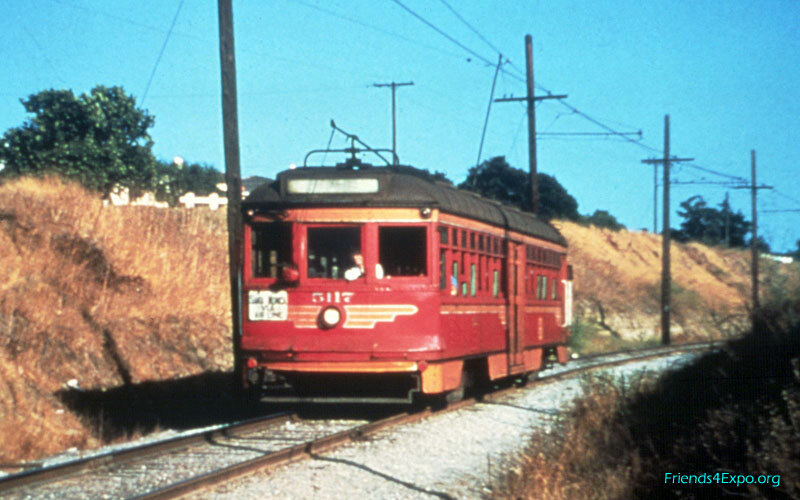 The Expo Line will use this old Red Car line Metro bought in 1990. 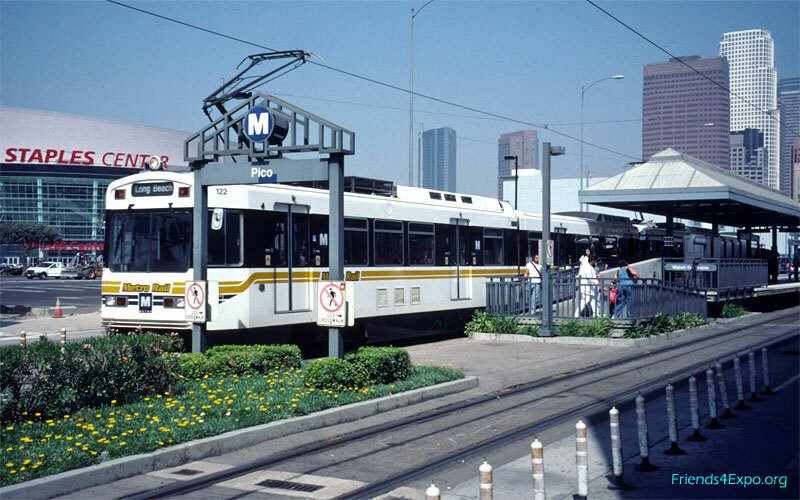 The Expo Line begins in downtown Los Angeles (sharing the existing Blue Line track), also serving Staples Center and the Convention Center and connecting to the rest of L.A.'s rail network. 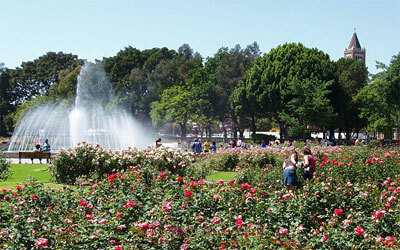 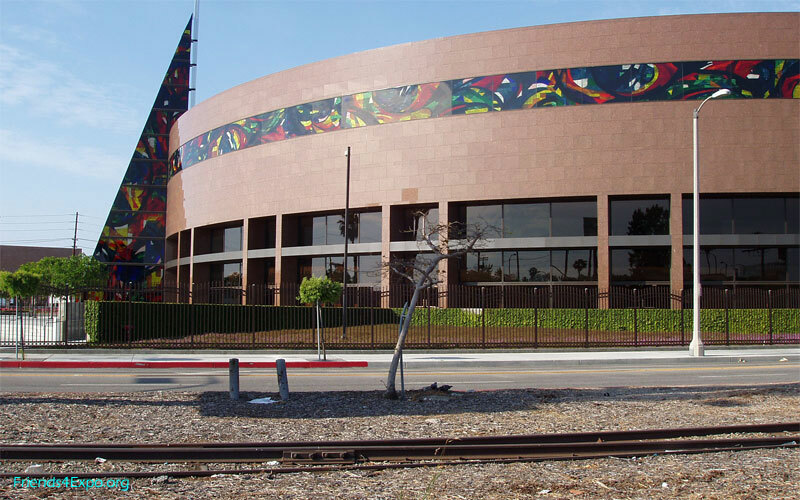 It will continue south on Flower Street, passing L.A. Trade Tech College, to Exposition Park's rose garden and museums, and the University of Southern California. 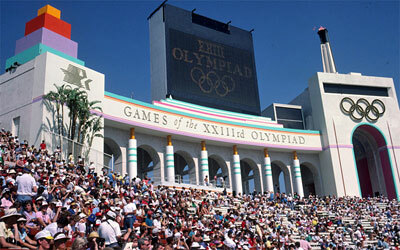 Here is the Coliseum during the 1984 Olympics. Home of USC football, its future may include another Olympics or a new NFL team. 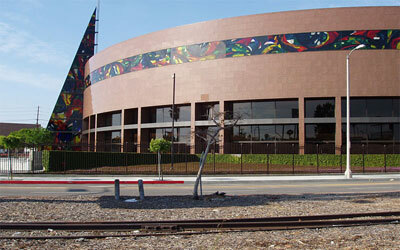 Farther west along the Exposition right-of-way are the West Angeles Cathedral at Crenshaw Boulevard. 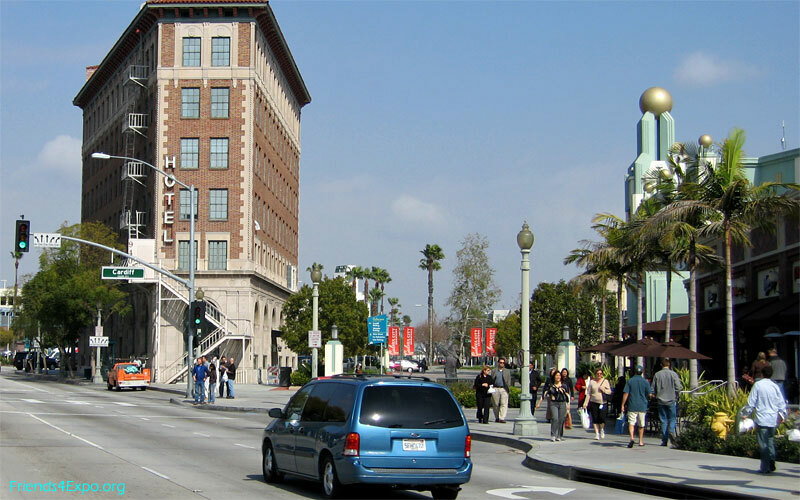 Light rail will bring better transit and needed new development to this area, and provide residents increased access to jobs and schools downtown and on the Westside. 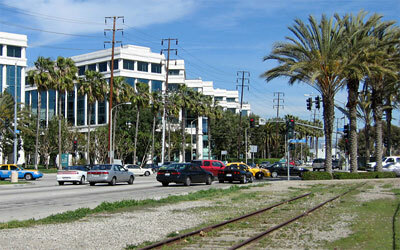 Culver City's restored downtown and studios are the beginning of the the media-technology corridor along Exposition through West Los Angeles and Santa Monica. 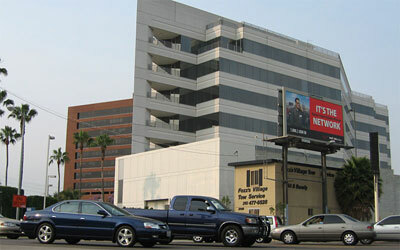 This is the aerial station location at Bundy, right next to the West Los Angeles business corridor along Olympic Blvd. Santa Monica's Water Garden is just across Olympic Boulevard from the station at Bergamot Station. Yahoo Center is a block north, and St. John's Hospital is two blocks farther. 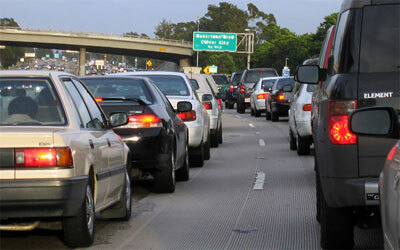 Resulting commute traffic backs up severely from the freeway onto Cloverfield. The added station at 17th Street will serve Santa Monica College (most students commute into the city) to the south and UCLA Hospital to the north. 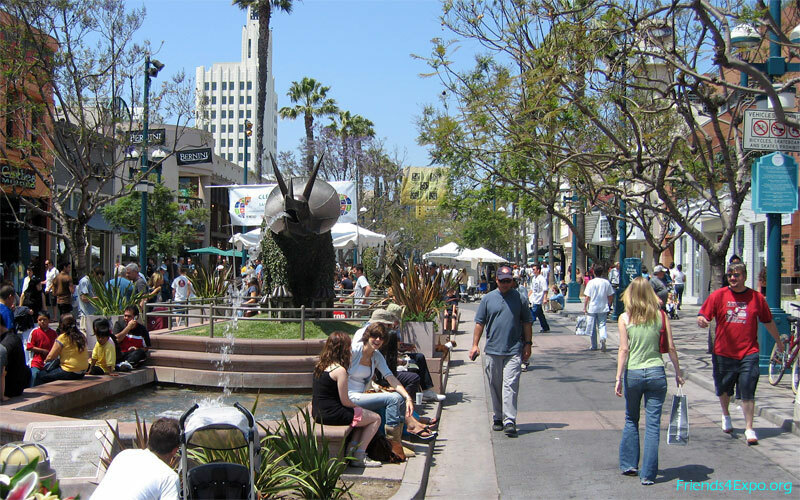 Santa Monica's Third Street Promenade and many downtown jobs are within walking distance of Exposition’s terminus station at 4th and Colorado. 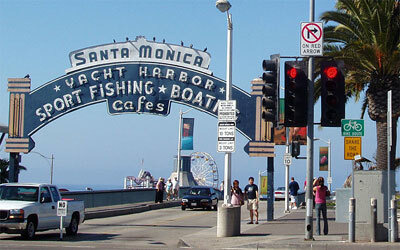 Santa Monica Beach is the busiest in California, with over 400,000 visitors on a peak summer day.